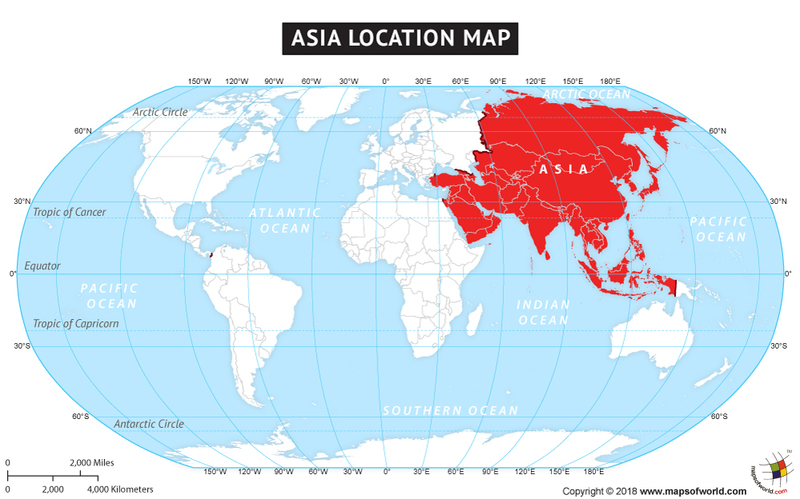 The map of Asia depicts the countries that form a part of the continent. The map also shows the international boundaries that separate these nations. Other than this, the islands and the latitudes and longitudes of the nations are also demarcated on the map.